Newmarket Car Detailing – Wash Me Now. Approximately 80,000 people call the municipality of Newmarket home. In 2013, Newmarket was ranked 10th of 200 Canadian cities by MoneySense, and it claimed the 4th spot in the Top 10 Small Cities in Canada. Such a popular city is not without its fair share of traffic, and local vehicle owners are bound to use their cars on a daily basis to get to and from work, school, and so on. Daily driving means that your car will encounter a significant number of pollutants which, in turn, will take their toll on the condition of your car if you don’t have your vehicle properly cleaned on a regular basis. Fortunately, our car detailing in Newmarket makes it that much easier to keep your car in top shape. Our team has plenty of experience working on a wide variety of vehicles including sedans, SUVs, luxury vehicles, and sports models. We have even detailed electric cars and, no matter the make or model vehicle, we always pay close attention to every detail. 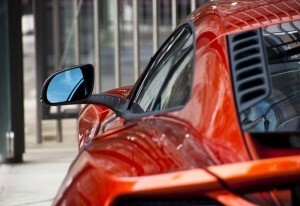 We treat each car detailing in Newmarket with the respect and care that it deserves. Car detailing is much more than just washing and vacuuming. Our team at Wash Me Now understands just what a big role those little details have to play. No matter how perfect the wash, if the smaller details like the plastic trim and other areas are not tended to, your car will not look its best. Our team will ensure that even the smallest spaces are cleaned, and the trim is treated and restored. Wash Me Now has more than 100 5-star reviews. So many satisfied customers are a clear indication of our level of service. Take a look at the wonderful feedback we have received from our happy customers and experience our quality detailing work for yourself. Cleaning any car takes a fair amount of time. Especially when you consider all the spaces dirt can hide. Doing the job yourself is tedious and taking your car an auto detailing service will also prove time-consuming. 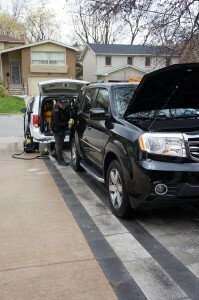 At Wash Me Now, we provide mobile car detailing in Newmarket for added convenience. Our unit comes equipped with everything needed to achieve the very best results. We even bring our own water! Steam has been used for various purposes over the years, and there’s no denying its cleaning and disinfecting power. Not only does steam kill germs, but it also helps us ensure that we use as little water as possible while effortlessly cleaning various surfaces without any harsh rubbing or scrubbing. Different vehicle owners have different budgets, and this is the very reason behind our various detailing packages. This ensures that every vehicle owner is able to choose the most affordable detailing option to cater to their needs. Not only do our packages cater to various budgets, but also to different needs. If you only need the interior of your vehicle tended to, or you only need the exterior professionally detailed, then you can choose the appropriate package as well as any optional extras you may need. Some of our extras at Wash Me Now include pet hair removal, headlight restoration, and even ozone generator treatments to get rid of any unpleasant smells. We at Wash Me Now care about the environment, and we are doing everything in our power to ensure that we do our part to preserve the natural beauty of Newmarket. Our steam cleaning approach ensures that we use minimal water, and our cleaning substances are carefully chosen with the environment in mind. When booking a professional car detailing in Newmarket, we understand just how important your time is. As part of each of our package descriptions, we have included an estimated duration. This way, you can be sure that our team will conclude their work within a particular period of time. The amount of time require for each vehicle will depend on the type of package selected, the size of the vehicle, and the addition of any optional extras. Take a look at our packages here or contact us for more details.